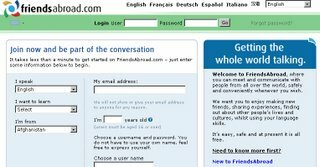 Friendsabroad is an online language learning community. You can join this community for learn new language,make friends. It is very cool, because it is not only normal make friend community, you can learn some new language, and talk with native language speaker.